Proof versions of the Jefferson nickel, designed by Felix Schlag, have been released throughout the duration of the series, with a few exceptions. From 1938 through 1964, proof Jefferson nickels were made at the Philadelphia Mint, and since 1968, proofs have been struck at the San Francisco Mint. 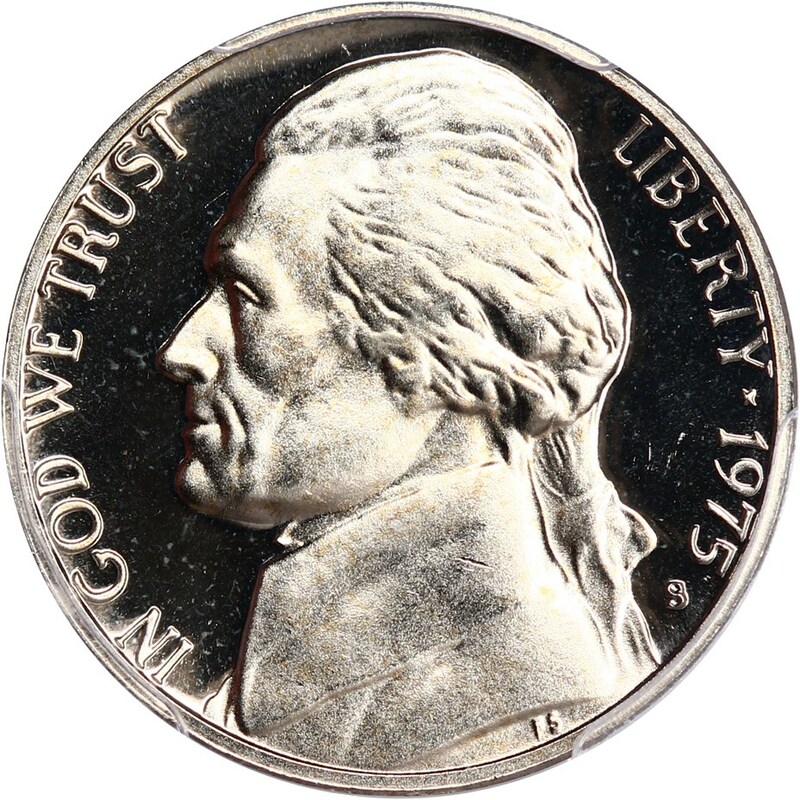 No proof Jefferson nickels were minted from 1965 through 1967, when a coin shortage preempted the manufacture of proof coinage for all denominations. Another hiatus in proof production occurred years earlier, from 1943 through 1949; that is when the US Mint was occupied with striking circulating coinage during World War II, which ended in 1945, and producing military medals for returning soldiers and families of those who lost loved ones in the international conflict. Most proof Jefferson nickels are common and readily available, though specimens struck from 1938 through the mid 1950s are more considerably scarcer and subsequently more valuable. All proof Jefferson nickels made before the mid 1970s exhibiting full cameo devices are relatively more scarce and valuable than lesser-quality pieces. Virtually all proof Jefferson nickels minted since the late 1970s range in grade from PR67 to PR70 and exhibit crisp deep cameo devices. One of the most valuable Jefferson nickel varieties is the 1971 No-S proof, which trades for around $1,000 in nice mid-range proof grades, with better examples snagging higher values. Also notable is the production of the 1942 Type I and 1942-P Type II proofs. 1942 Type I proofs are made from the traditional copper-nickel composition while the 1942-P Type II consists of the World War II-era 35% silver makeup and also is the first proof coin from the Philadelphia Mint bearing a ?P? mintmark.